As an exhibition of works on paper opens in Southwark Park to celebrate three decades of the Bermondsey Artists' Group, we talk to two members about the organisation's thirty year commitment to art, community and learning. The Bermondsey Artists’ Group (BAG) was founded in 1983 around a pub table in south London. Three decades on, its mission statement Access to Art for All resonates as strongly as ever. The group continues to provide a voice for artists living and working in Southwark, supporting new, risk-taking and experimental work with a focus on community engagement, inclusivity and learning. 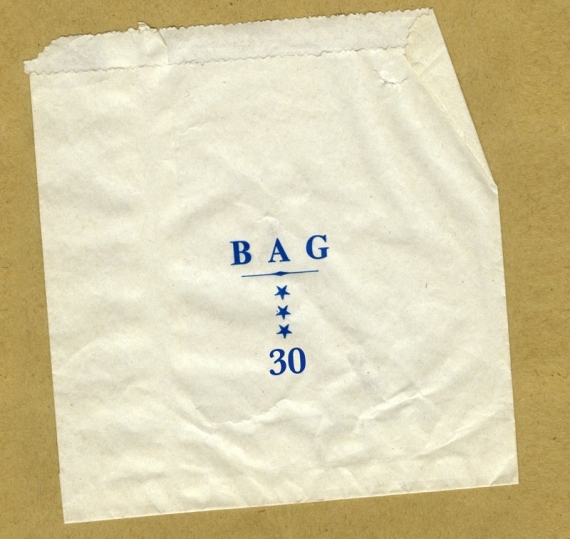 Paper Bag, which opens at the group’s purpose-built space this evening Friday 5 April, is an exhibition of works on paper by thirty members of BAG. It celebrates this milestone year and seeks to show just how far the group has come in the past thirty years. Allen describes the “generational spirit” of the time as cooperative, anti-elitist and anti-establishment. The group were looking for exhibition platforms that were open and accessible, they wanted to encourage local interest in their work, and to break down the “fortress mentality” they perceived in the commercial and mainstream gallery systems. 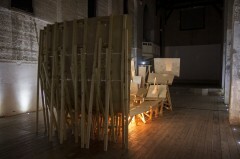 When BAG managed to secure and refurbish a derelict café in Southwark Park, Café Gallery Projects (CGP London) was born. 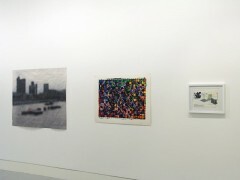 And soon afterwards, the group’s annual Open Exhibition, with its ‘hang the lot aesthetic’, was indeed open to all. “At the time, the Whitechapel Open was really the biggest exhibition opportunity for artists in London, and it was hard to get a foot in the door there. We wanted to go the opposite way,” says Allen. Architect Sophie Yetton, who joined BAG in 2011, agrees: “There’s less bureaucracy when artists are leading projects – certain ‘limitations’ are not seen as limitations, there’s no sense of having to battle to get things done.” Yetton is one half of Pavilion, a collaborative partnership exploring relationships between viewer, artwork and architecture within gallery and exhibition contexts, and one of the younger members of BAG. Yetton relocated from Hackney to Southwark a few years ago and has been welcomed by Bermondsey’s more established artist community. 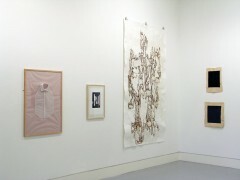 For Yetton, CGP London’s second exhibition space Dilston Grove – originally acquired on a short-term lease in 1999 when it was disused and semi-derelict – was a particular draw. A Grade II listed former mission church on the south west corner of Southwark Park, and the first poured concrete building in England, it offered an ideal space to realise ambitious architectural-sculptural installations. 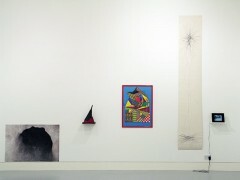 Back in 1999, Dilston Grove offered a temporary means of sustaining the group’s exhibitions programme while their main gallery was undergoing refurbishment works. But the programme – which included major new commissions by Richard Wilson and Jo Stockham – was hugely successful and led eventually to the organisation securing the building on a permanent basis and raising funds for its restoration. Together with the Café Gallery, CGP London now has around 400 square metres of flexible, accessible space that is used for workshops, learning activities and a community allotment project – as well as the group’s broad exhibitions programme that supports established, emerging and community arts groups alike.